Why Us - We help business owners and professionals succeed. Ivy Growth Partners understands the challenges that come with running a business and growing your personal wealth and will be by your side every step of the way to ensure you achieve the best possible short and long-term financial outcomes. Need help managing your cash flow? Restructuring your Self-Managed Super Fund? Or, submitting your taxes? We will work with you to develop and implement a strategy and approach to handle all your personal needs and financial goals. Our business packages and SMSF services are tailored to the specific needs of your business and provided at a very reasonable fixed cost. As an authorised representative of the boutique financial company, Merit Wealth, we offer premium SMSF management services to build your passive income. Ivy is truly passionate about money – and helping others find happiness in good fortune. She believes in the power of numbers and communication to achieve remarkable things. Whether it’s running a successful business or building a property investment portfolio – Ivy has the experience and skills to make people’s lives better. As an Accredited SMSF Specialist and Certified CPA Public Practitioner, Ivy brings over 15 years of accounting experience to the table. 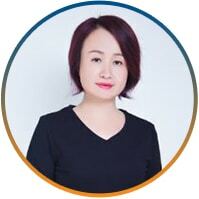 And has used her knowledge and skills to build an impressive investment property portfolio of her own. You’ll get inside advice on how to succeed in the property market from someone who practices what they preach. And you know what they say about “practice” …. That’s right: Only practice makes perfect! We’re an accounting firm that helps business owners and professionals succeed. We understand people have very different ideas on personal wealth and how to achieve it. Our accounting, planning and management services are designed to help you build something that lasts and rewards your family with a secure financial future. Because we firmly believe, you deserve nothing less. Ivy Growth Partners is committed to providing accounting solutions that help people live a life free from financial stress. So they can retire with personal wealth and provide a better life for themselves and their family.